The online Doctor of Education (Ed.D.) in Curriculum and Assessment is designed for professionals aspiring to be assessment and institutional effectiveness experts who can affect the institution's success and achievement through purpose, scholarship, and community. This Ed.D. prepares professionals for high-stakes careers in nonprofit professions, technical colleges, four-year universities, public and private K-12 institutions, and institutional accountability. The student will gain scholarly expertise in the latest innovative research and best practices in learner-centered curriculum and instructional design, instructional strategies, program evaluation, and student assessment. Using real-life settings, the student will learn to think critically about ways to drive innovation and change at the systemic level and apply ethical strategies that can affect quantifiable improvement. The student will thrive in a connected body of learners. Most Ed.D. degrees at the doctoral level across the nation concentrate on leadership or curriculum and instruction. While there are many education doctoral programs available in curriculum and instruction, there are very few in the nation that concentrate on assessment as a main theme of the degree. This emphasis on assessment will concentrate on teaching and learning through assessment along with determining the quantitative and qualitative outcomes that can improve strategies and programs. Assessment training is desperately needed in today’s outcomes-based climate, creating job market demand for these skills. You will begin the dissertation research process within the first year of your program of study. In research courses and residencies, milestones are established and you will receive faculty advisement to allow you to progress through your dissertation development, research, and defense throughout your program. 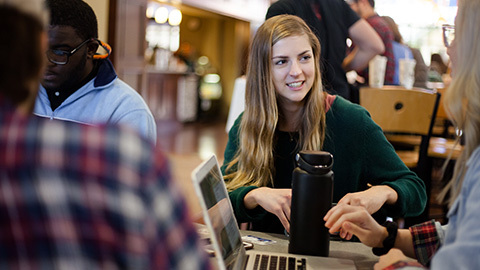 While almost all courses are offered fully online, students are required to be on campus for a one-week summer residency course during three summers. Each one-week residency will include classes and other curriculum activities focused around developing the student's dissertation. I believe that SWU has implemented an amazing program that gives us the flexibility of online while still ensuring the personal connection they are known for. Southern Wesleyan University offers the environment and flexibility I have been seeking in a Doctor of Education program. I have found a place that has impacted my intellectual, professional and spiritual growth. The Ed.D. program has been an incredible opportunity for me! The professors are helpful and knowledgeable and always available to answer questions that may arise. This is a program that I would highly recommend to anyone considering more educational opportunities. See highlights from our press conference announcement about this program. Learn more about our online Ed.D. program from Dr. Paul Shotsberger. * Total cost (cost per credit hour x total credit hours) is provided to aid in program comparison only. Financial information is subject to change. This does not include book and material costs. The student must complete scholarship application form and provide proof of Palmetto State Teachers Association membership. An earned master degree in education or related field from an institution that is fully accredited by a regional or national accrediting agency recognized by the United States Department of Education or a comparable degree from an international institution with a minimum cumulative grade point average (GPA) of 3.0 on a 4-point scale. Masters in related field must be approved by the School of Education Graduate Review Committee. Be in good standing at all previous institutions of higher learning. Students who, for academic or disciplinary reasons, are not eligible to register in the college or university last attended will not be admitted for graduate study. A score on a nationally standardized graduate admissions test, the Miller Analogies Test (MAT). Test scores must be no more than five years old. The requirements are a minimum MAT score of 350. An equivalent Graduate Record Exam score will be accepted. MAT FAQs below. One page letter to the School of Education Graduate Admissions Committee explaining why this particular degree would be important to the applicant’s career. This course will explore the various types of curriculum that exist within organizations as well as goals and philosophical orientations to education. Students will delve into the ethical considerations regarding who controls the curriculum and assessment, how that control is exerted, how curricular decisions impact student learning and how you can ethically lead curricular change. 3 credits. The Foundations of Curriculum and Instruction course focuses on applying curricular theory related to best practices in the 21st century classroom setting. Planning for instruction and evaluation of learning are the two focal points of this experience. This course is designed as an introduction to the systematic process of planning for effective classroom instruction and assessment as these tasks relate to contemporary curricular concepts. Political considerations for curriculum will be considered. 3 credits. This course will provide an opportunity for participants to establish or advance their understanding of research through critical exploration of research language, ethics, and research approaches. The course introduces the language of research, ethical principles and challenges, and the elements of the research process within quantitative, qualitative, and mixed methods approaches. Emphasis will be placed on library and online resources. 3 credits. This course examines curriculum, instruction, and assessment in the context of standards based education. It explores theories, methods, and procedures underlying the development and design of curriculum and instruction, the interrelationships among curriculum, instruction, and assessment. 3 credits. This course provides students with knowledge of current concepts and issues in the area of assessment in special education and other special needs populations, with knowledge and practice in administering a standardized assessment as well as curriculum based assessments. The history of curriculum development and evaluation; the importance of aligning learning theory and learner variables; and removal of barriers to student achievement are discussed. Current issues in assessment such as assessing students from diverse backgrounds will be covered. 3 credits. This course addresses the intermediate qualitative and quantitative research methods. Qualitatively, the course addresses forming research questions, writing field notes, and collecting, organizing, and analyzing a variety of data. The design issues of triangulation subjectivity and trustworthiness are explored. Ethics and ethical issues in qualitative research are presented. Quantitatively, the course addresses the logic of statistical inference and hypothesis testing, and provides study of analysis of variance and multiple regression, with a computer oriented approach. 3 credits. This course is designed to provide an understanding of accountability systems, basic data analysis procedures, data management, data interpretation, and application. It is centered on understanding data as a means for improving school performance by guiding instructional and programming decisions, including the decision making processes surrounding curriculum and program evaluation. The meaning of the data to inform instruction and curricular change is the focus. 3 credits. This course investigates curricular models and their features, with a focus on how curricular design promotes learning. Special emphasis is placed on technology-enabled curricula, designing for learning environments, blended learning, and curricular roles in innovation. 3 credits. All programs and organizations need information about what is working or not working in order to improve. But how do individuals and organizations learn to engage in continuous improvement, where improvement happens with frequency and depth across the whole system? This course is designed to introduce students to key concepts in improvement science and formative evaluation as a way to support learning from real-life attempts at improvement. It is meant for students who will be working or leading in educational settings where they will be asked to collect and use information to build organizational capacity and affect change, as well as for students interested in an introduction to the practice of evaluation. Students will acquire a practical set of skills, such as communicating with key stakeholders, and generating relevant evaluation questions and methods of collecting related data. Students will practice these skills in an authentic setting during a required 25 hour practicum. 3 credits. This course addresses the advanced qualitative and quantitative research methods. This course is a continuation of Quantitative Research and Analysis I. Qualitatively, the course continues forming research questions, writing field notes, collecting, organizing, and analyzing a variety of data. Advanced methods including sampling strategies, observational and interview techniques, questionnaire construction, and data analysis are also addressed. Ethics and ethical issues in qualitative research are presented. Quantitatively, the course addresses the logic of statistical inference and hypothesis testing, and provides a study of analysis of variance and multiple regression, with a computer oriented approach. The design of multi-variable studies, multivariate data analysis, and other advanced methods using statistics computer programs will be examined. 3 credits. This course is designed to assist students in developing those skills essential for curriculum restructuring, planning, and implementation at the school site. Three essential processes, curriculum development, assessment, and instruction will be considered with respect to relevant theory, research, and practice. Emphasis is placed on the role of responsible leadership in assuring that these processes function effectively. Critical issues in curriculum will be examined in your own settings with a focus on deciding on a curriculum intervention. 3 credits. This course is a study of basic principles and practices of leaders consisting of defining leadership, recognizing and applying Christian professional ethics and integrity, identifying best practices in supervision, assessment and evaluation, developing and working with “learning communities,” and improving teaching and student learning. Included in the study are principles and methods to evaluate and help motivate teachers by learning to utilize current research and data to improve school programs and instruction. Concepts of biblical leadership will be integrated throughout the course of study with discussion on how leaders who are Christians can make application of their biblical worldview regardless of where they serve. 3 credits. 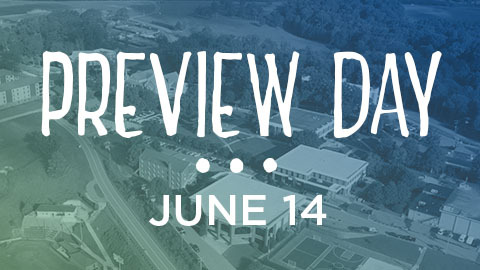 During the first summer session students will have a week-long residence program on the main campus where they will work with professors on their research design. The students will work the rest of the summer term online and submit the draft designs for critique and approval by the primary professor. 6 credits. During the second summer session students will have a week-long residence program on the main campus were they will work with professors on their Dissertation Committee on their methodology. They will work the rest of the summer term online and submit the draft methodology for critique and approval by the primary professor. 6 credits. During the third summer session students will have a week-long residence program on the main campus were they will work with professors on their Dissertation Committee on their Results and Conclusions. They will work the rest of the summer term online and submit the draft methodology for critique and approval by the primary professor. 6 credits. After completion of the core curriculum, students must be continuously enrolled until the completion and successful defense of the dissertation. Course is designed to provide students additional time and mentoring to complete his or her dissertation. Not required for graduation. 6 credits. If students are struggling to finish his or her dissertation and students have complete all course bearing courses, students can enroll in the advising course. The advising course allows students to maintain advising contact with SWU faculty and maintain access to SWU resources. Not required for graduation. Non-credit bearing. A score on a nationally standardized graduate admissions test, the Miller Analogies Test (MAT), is required for admission to the Ed.D. program. Test scores must be no more than five years old. The requirements are a minimum MAT score of 350. An equivalent Graduate Record Exam (GRE) score will be accepted. More info about the MAT here. Why am I taking a standardized graduate admissions test? The test is designed to reflect candidates’ analytical thinking and provides a consistent admission requirement by which to assess applicants. Each applicant needs to take the MAT or GRE regardless of experience or education. When do I take this exam? SWU must receive your score before you can be considered for admission. We recommend completing the test at least 3 weeks prior to the admission deadline in order to ensure a timely receipt of your scores. Testing centers offer a variety of dates to take the exam. Please check with your local testing center to find a date that is convenient for you. What do I need to score to be considered for admission? SWU requires a minimum score of 350 and cannot be more than 5 years old. Why does the score have to be less than 5 years old? SWU wants to ensure that the score is an accurate representation of the student. Pearson Assessments also only keeps MAT scores on file for five years from the testing date. What is the GRE equivalent that will be accepted for consideration? You can find the equivalency table here (PDF). The MAT website provides a study guide as well as practice tests that should help prepare you for the test. What is the cost of the MAT? The cost of the MAT differs depending on the test location, generally ranging from $75-$100. You must register for the MAT by calling your local testing center. How long is the MAT? The MAT consists of 120 partial analogies and allows 60 minutes for completion. The MAT can be taken at any supported testing center. How do I send my scores to SWU?